After two successful seasons, Nigeria’s youth friendly telecommunications network, Etisalat has concluded plans to kick off the third season of its Under 15 School Cup football competition, in October. The Etisalat U-15 School Cup is a national grassroot football competition designed to connect, engage and promote young football talents. It promotes national unity by connecting young and aspiring footballers to becoming future champions. According to Director, Brand & Experience, Etisalat Nigeria, Elvis Ogiemwanye, the third season will provide exciting prospects of building on the success of the last two editions. “Our commitment to the nation is to support and create credible platforms that can contribute to the development of the country. Therefore, we are committed to developing a pool of young football talents. The success of the last two editions makes it even more exciting for us,” he said. The regional group matches will kick off with a Trophy tour which will take place in Ibadan, Ilorin, Enugu and Kaduna, where football teams and student participants will be given the unique opportunity of seeing the prestigious Champions Trophy and experience the Etisalat School Cup Champions Studio. 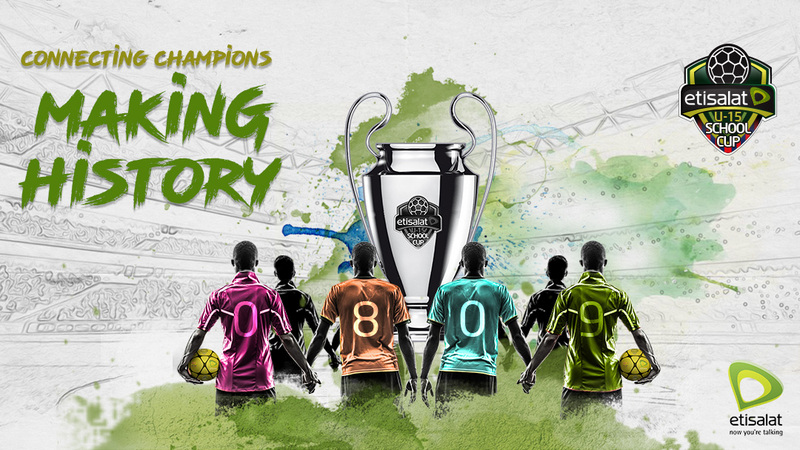 The mobile champions studio which is an innovation of season 3, will showcase the champions trophy and give participants the opportunity of taking creative pictures and telling their own football stories to Nigerians. The impressive trophy was inspired by other international tournaments; predicated upon the belief that today’s Etisalat School Cup Champions will win international tournaments in the near future. According to the Head, Events and Sponsorships, Modupe Thani, “the trophy has been designed to inspire our Etisalat School Cup Champions to believe in themselves and to dream of playing and winning bigger football championships as they grow their football talents and move unto professional football”. STV Network between 7:25pm – 7:30pm on Mondays, Wednesdays and Fridays.